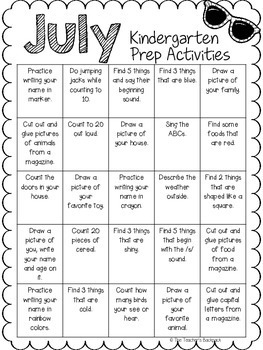 This is a daily activity sheet that can be used for the month of July to practice skills for Kindergarten. These are simple activities and can be done with simple materials at home. Enjoy! Please leave feedback as I love hearing what others think of my products.